KGH Customs > About Us > News & Press Releases > News > Post-Brexit: Are 100% Frictionless Borders Possible? On 29 March 2019, the United Kingdom will leave the European Union. The UK and EU are now negotiating an exit agreement and the two remaining issues are the land border on the island of Ireland and future relations, including the framework for further negotiations on trade relations, customs and the border environment. One of the areas being discussed is whether it is possible today to have frictionless borders, or at least as frictionless borders as possible. 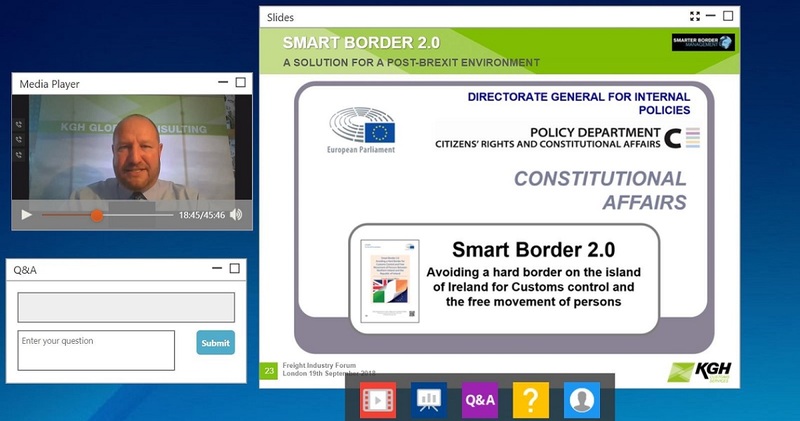 In this webinar from Defence IQ, KGH MD Lars Karlsson explains how smart borders work and what a potential post-Brexit border environment might look like.